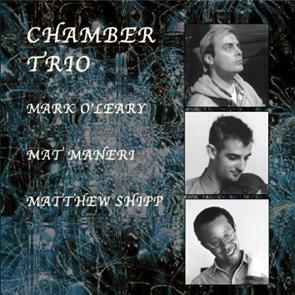 Mark O'Leary, Matt Shipp and Mat Maneri came together to try to emulate the dynamic texture of the chamber trio. Being students of Charles Ives, this was the common fibre which molded this musical fabric together. Shipp's strong piano individualism juxtaposed with Maneri's sensuous Viola and O'Leary's electric guitar helped the music proceed along a jaunty, jagged new musical path. Mark O'Leary: "There was an implicit, organic telepathy at each stage of our recording.The aesthetic which we strove for in our collective minds and hearts was for sure how you will hear it in a chamber trio."